Core power yoga strengthens your abdomen and back besides helping in weight loss. It can also tone your muscles and can strengthen the hip and pelvis. While doing core power yoga, you improve strength, stamina, concentration and also reduce stress. Lie on your back. Let your feet and hip wide apart. Press your feet and lift your hips. This is wonderful pose that burn calories and also relaxes your body. It engages your butts and core muscles. Hold in that position for 5-8 breaths. And then repeat. 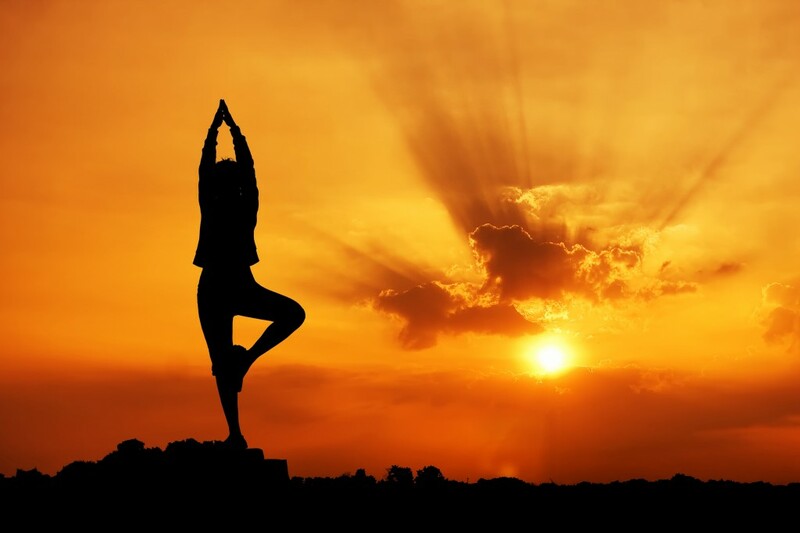 Surya namaskar: Surya namaskar is a set of yoga aasanas done in succession. It has amazing weight reduction properties since it employs various forward and backward bending aasanas that flex and stretch the spinal column giving a profound stretch to the whole body. Believe it or not this is a full body workout like no other. It has a deep effect in detoxifying your internal organs through copious oxygenation and has a deeper relaxing effect. Uttanasana: This is a forward bending pose that stretches out the hamstrings, and the muscles of the abdomen. It also makes the blood rush to your head, helping your body switch from the sympathetic to the parasympathetic nervous system, helping you relax. Steps to do this pose: To perform this pose, stand straight. Raise your hands from the front to above your head as you inhale slowly. Then bend forward completely pushing your buttocks back till your palms touch the floor and your forehead touches your knees. If you cannot bend completely, or are uncomfortable with the stretch on your hamstrings, bend your knees a little. Stay in this pose till you are comfortable.. To return back to the standing position, as you inhale slowly bring your arms above your head, raising your upper body. Then as you exhale bring your arms down from front of your face. Do not jerk up. Remember to rise up from the hips, without straining your muscles. Vrksasana: Also known as the tree pose, this aasana is great for the muscles of your stomach and abdomen . Apart from concentrating on your core it also helps your mind focus and tones the muscles of the thighs and arms. Steps to do this pose: Stand with your legs together. Now put most of your weight on one leg and a little weight on the other leg. Now raise the leg with the least weight such that your foot is facing inwards, towards your opposite knee. You can hold your ankle to help you pull up the leg. Place the heel of your foot on your inner thigh of the other leg, as close to the pelvis as possible. Now gently raise your hands above your head making sure your fingers are pointing towards the ceiling. Make sure you focus your mind and try to maintain your balance. Breathing steadily and focusing on one spot in front of your eyes helps in maintaining the pose and not falling over. In yoga, it is believed that an unsteady mind leads to an unsteady body. So the more you can control your mind the better you can do this pose. Do not try to hold a chair or wall for support while doing this pose. It will only reduce the intensity of the aasana. Keep trying till you can get it just right. ImportantTip: If you have injured your knee or back please do this aasana under the supervision of a trained expert. Utkatasana: Also known as the chair pose this aasana requires concentration and focus on the muscles being used. It strengthens the core muscles, thighs and tones the buttocks. Steps to do this pose: Stand straight on your yoga mat with your hands in namaste in front of you. Now raise your hands above your head and bend at the knee such that your thighs are parallel to the floor. Bend your torso slightly forward and breathe. Stay in this position for as long as you can. In order to get out of this pose, gently stand up. Important Note: Do not do this pose if you have a knee injury or back injury.